To get the full 411 about all that is happening in and around the Tennessee Valley this fall including information on Fall Break Camps, Trick/Trunk or Treating options, Halloween Parties, and more why not mosey on over to the full 2018 Fall Activity Guide. Then be sure to share the scoop with your friends so you’ll see familiar faces when you are out and about this fall season. Join us for the 23rd Annual Redstone Arsenal Family and MWR Oktoberfest, brought to you by Papa Johns Pizza! This fun event features a carnival, German music, glassware, beer and food, a Craft Biergarten, a Sports Pavilion (to catch up on the big games of the weekend and more), and more! This is a cash only event. Enjoy the oncoming fall weather by strolling, shopping and sipping around the Square Downtown at the final Friday Night Art Walk. There are dozens of vendors with a wide variety of arts and crafts as well as live music. The event takes place during open entertainment district hours, so adults, feel free to stroll with your favorite beverage while shopping and enjoying local art. Grab a drink and join Arts Huntsville and Downtown Huntsville, Inc. for the Purple Cup Secret Art Walk in #downtownhsv! We’ll lead you on a tour of downtown’s hidden public art – from murals to sculptures to whimsical doorways located off the beaten path. Meet us outside Green Bus Brewing at 206 Eustis Ave and we’ll begin our guided stroll around the Arts & Entertainment district to discover the’ secret art’ that brings downtown Huntsville to life! You’ll be given a Secret Art Walk map to check off your discoveries as we go. The tours last 20-30 minutes and will start at 6pm with a tour leaving roughly every 15 minutes, with a final tour starting at 7:30pm. The Monte Sano Art Festival will be back on Monte Sano Mountain the third weekend of September 2018. The festival is free to attend, but Monte Sano State Park will charge $10 per car for parking. Cash only. The Monte Sano Art Festival has been an enjoyed tradition in Huntsville, Alabama for sixteen years. In 2018, we will continue to feature more than 140 of the region’s finest artists in an array of wonderful media. Along with the outdoor festival exhibitors, 2018 will continue to feature local food trucks and musicians throughout the park. This festival is always a highlight of the arts calendar! Our Fall vendor Event is just around the corner! This event will be indoor/outdoor depending on the weather. Admission is free and all proceeds from bake sale, and sale of spots go directly to refurbishing our Bethlehem Walk! This one-day, family-friendly spectacular features a wealth of global performances, from folk dance and traditional instrumentals to ethnic song and martial arts demonstrations; food trucks; FREE hands-on children’s games and crafting; an Open Air Market; and table displays featuring cultural artifacts, travel/historic literature, handicrafts, native apparel, educational videos, and so much more! An evening event for the entire family! Dress up in your favorite fairytale or superhero attire, experience fairytale and superhero character meet and greets with photo opportunities, enjoy royally sweet and villainously savory treats, dance the night away with Metropolitan DJ, try your luck at unlocking a treasure, and more! All proceeds benefit local UCP Huntsville client families. The Tour de Ville is a relaxed and entertaining bike ride through Downtown Huntsville that supports the Boys & Girls Clubs of North Alabama. The ride begins and ends at S.R. Butler Green located at Campus No. 805. Riders will enjoy several noteworthy “rest stops” along the route where refreshments, entertainment, and interesting local information will be presented. The post-ride celebration will feature live music, with free pizza for kids under 16, food, drinks, and local craft beer available for purchase. While the ride is going on, a children’s bike rally (for all ages) involving obstacle courses, bike riding instruction, and bike safety instruction will be held at Butler Green. Money raised from the event will provide needed funds to keep the doors wide open for all kids at Boys & Girls Clubs of North Alabama, Williams Unit. Note: Only children ages 8 and up are allowed to participate on the ride. However, the on-site kid’s bike rally on Butler Green is for kids of all ages. Fitness Fest is a free community event hosted by Randolph School. And everyone in the Huntsville area is invited to take part in the fun. Our outdoor event will have tons of physical activities for the kids. Plus, families can stroll around the track, participate in Zumba, or get more information from local health and fitness vendors. Just us at our 2nd annual Fall Festival! This event is a family-friendly event featuring a zip line, bounce houses, slides, face painting, games, hay ride, foam house, escape room, pumpkin painting, train ride, food and much more. Get your unique gift items and stocking stuffers for the holidays and stock your pantry – this event only happens every 2 years! Shop for and take in the wonderful scents of herb seeds, dried flowers, baked items, herb jellies, honey, and more. Demonstrations include Making Pesto at 10am, Making Natural Perfumes at 10:30am, Making Hummus & Pita Chips at 11am, and Making Botanical Inks for Arts & Crafts at 11:30am. Proceeds support the Huntsville Botanical Garden Herb Garden. This event accepts cash or checks only. Presented by 1818 Farms, the fourth event in the “Behind the Picket Fence…History Lives” Mooresville Bicentennial series will be a free to the public outdoor walking tour conveying the story of our Town’s progress and transformation through the 1900s with interactive displays, photography, demonstrations, and collections. These guided hikes offer natural beauty and exercise for the entire family! They’re free, but donations to help preserve green space are accepted. You don’t need fancy equipment! However, we do recommend long pants and comfortable shoes with good tread, bottled water, hiking sticks, trail snacks, and a camera to capture the experience. Dogs welcome, but must be on leads. In case of rain, hikes will be canceled. Please verify cancellation via the website or on Facebook Page. This week-long celebration of Eva, AL history and community includes a bluegrass festival, the worlds largest hayride, community singing, and concludes with “The Big Day” on Saturday. Enjoy an antique tractor and car show, parade, a baked goods contest, live entertainment, contests, raffle drawings, plus games for all ages – rides, train ride, etcetera, food vendors, and much more! The HOTC is hosting the 16th Annual Dog Fair at Monte Sano State Park and is attended by thousands of people each year, many bring their dogs, others adopt dogs from the local rescue groups and humane society. Don’t miss the WAGS kid’s learning activities and kids’ dog shows! Monrovia Community Center invites you to enjoy entertainment, fun, food, games, and giveaways at their 2018 Fall Fest. MCC is a 501c3 non-profit focused on helping the youth within the North Alabama area grow through sportsmanship, mentorship, and spiritually. The Fall Fest is free and open to the public, with some cost for food. Where German Heritage is greeted with a Southern Style! 8 days of traditional German Music, food, dancing, Classic car show, arts & crafts, Hundfest, Bratwurst Eating contest, Miss Oktoberfest, the Burgermeister Ball, Stein Hoisting contest and our very own Cullman Community Lion’s Club Bed Race are just a few events that you can enjoy while visiting our Craft Beer Garden located in our entertainment district. Authentic German Dinners hosted throughout our downtown, along with guided walking tours, shopping, music and fun, bring Cullman’s German History to life! Returning for the 54th year, the October Harvest Festival is set for October 5-6, 2018, bringing with it two days of music, arts and crafts and other family-friendly fun. The free event takes place in historic downtown Boaz, located along Highway 168 just off of US Highway 431. During the October Harvest Festival, over 200 arts and crafts vendors will line Main Street giving festivalgoers a chance to shop for unique items. Children will be entertained throughout the day with a free inflatable play area with rides and games (tickets required for a nominal fee). Other activities include live music from the Two-Tone Willie, Nate Fortner, Boaz Jazz Band, and Snead Singers, other entertainment, a huge antique car show with muscle cars, trucks, antique tractors, motorcycles and the Miss Harvest Festival Pageant where a one-year tuition scholarship to Snead State Community College will be awarded to the upper division winner. Festivalgoers will not want to miss the chance to get the new Harvest Festival t-shirt designed by a talented local student. Many of the shops located in the downtown area will have sidewalk sales and special offers in addition to the festivities. 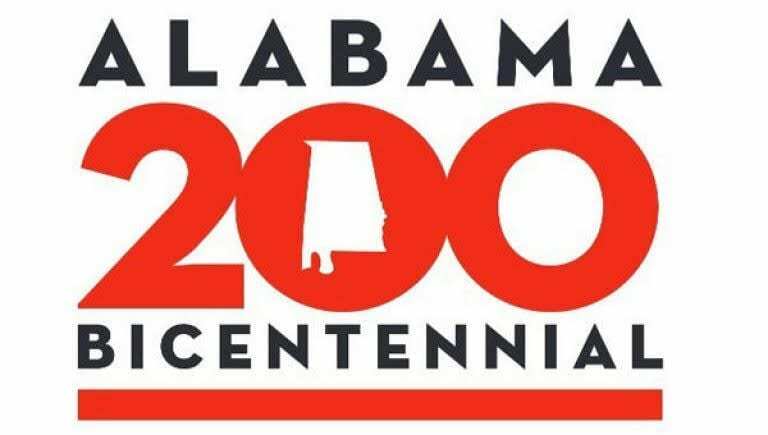 The Huntsville-Madison County Public Library is celebrating its Bicentennial Year (formed in 1818!) and we want to celebrate! Please join us for this FREE event at the Earlyworks Museum. The day will feature birthday cake, puppet shows, crafts and more! Illustrator Laura Murray, creator of Amazing Alabama, will be hosting a coloring workshop in the afternoon. Join us for a day of shopping at the 3rd annual Craft and Vendor fair at the Meridianville Athletic Association! All your favorite vendors and more will be there. Shop early for the holidays and maybe something for yourself too. Experience life at Asbury at our Fall Festival! This is THE event of the fall to bring your kids/grandkids/neighbors’ kids/friends’ kids to! With free food, the Big Green Bus, games, hay rides, and fun ideal for kids up through 5th grade, we’ll have a blast together! Fall Break at the Garden is so fun! Bring the family to Hamburgers & Hayrides for a delicious lunch and lots of outdoor fun. Fresh Market will grill awesome hamburgers, served with sides and beverages. Then, hop on a hayride to the back of the Garden and get lost in our corn maze! Don’t forget to check out the Scarecrow Trail and the Gardens of Myth exhibit while you’re here. The unique and quirky Pop Up Parks return to Downtown Huntsville October 11th – 21st! Pop Up Parks 2018 presented by Maynor & Mitchell Eye Center will feature 12 parking spots converted into mini-parks around the Downtown Square. 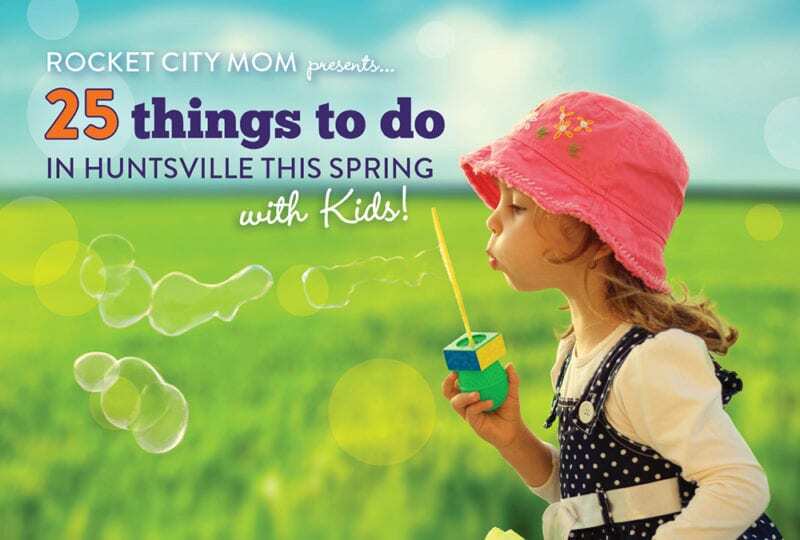 The event’s motto: “Move out the cars, bring in the people.” Downtown Huntsville, Inc invites the community to come out, play on the mini-parks, and enjoy all the amazing things Downtown Huntsville has to offer. Astronomy Day at the VBAS facilities will include family fun activities hosted by local science groups, planetarium shows and telescope observing (weather permitting). Outdoor hands-on activities from 1:00 – 5:00 PM will be offered by VBAS, as well as local science enthusiasts. In the past we have had representatives from HAL5 (National Space Society Huntsville Chapter), U.S. Space & Rocket Center, and Lonnie Puterbaugh: Astronomy Van. Short planetarium shows will allow guests to view the night sky indoors, while special solar telescopes outside will offer views of sunspots and solar flares. Visitors may tour both observatory facilities to hear stories about the construction and installation of the telescopes. Evening activities will kick off at 7:00 PM with a presentation indoors by our keynote speaker, former NASA Astronaut, Brigadier General Robert Stewart, USA, Retired, who will speak on his experiences aboard the Space Shuttle. Following our keynote speaker we will have telescopes set up to view the nigh sky, weather permitting. Downtown Huntsville will soon welcome a global invader – in the form of 23-foot-tall inflatable illuminated Rabbits. Arts Huntsville, in partnership with Downtown Huntsville, Inc., is bringing whimsy and delight to downtown Huntsville this October with Intrude, a traveling public art installation by Australian artist Amanda Parer of Parer Studio. Huntsville joins the ranks of Denver, Seattle, Singapore, Sydney, Berlin, and other metropolitan destination cities, to host Intrude. Intrude will be on display to the public Friday, October 19th through the 28th in Big Spring Park East and West. The rabbits range from 10 to 23 feet tall. The public is welcome to gently interact with the bunnies and share their experience with the exhibit using the hashtag #IntrudeHsv. Annual Alabama Gourd Festival theme “Gourds Under the Sea” at the Cullman Civic Center. Enjoy the beautiful works of art made from gourds. Find that unique gift for someone special on your list or something for yourself. You will find plenty of raw gourds, supplies and tools for purchase. Children can decorate their own ornamental gourd for free. The whole family will enjoy touring the fabulous ribbon competition exhibit room. Learn something new as gourd artist demonstrate their art techniques, or take a class from an experienced gourd artist. For more than 30 years, Colorfest has drawn thousands of visitors to the quiet little mountain village of Mentone to drink in the cool, crisp mountain air, admire the glory of the fall foliage, and enjoy the festivities of Colorfest. Always held the third weekend in October, the festival combines nightly bonfires, live music, fabulous foods, boutique shopping, children’s fun, and of course, the incredibly talented artists and craftsmen who display their wares along Mentone Brow Park. Hands-on activities, face painting, and lots of telescopes will be on hand at this fun fall family-friendly event, open to the public! The Von Braun Astronomical Society will be there to show you the moon and other visible planetary bodies. Everyone can enjoy the Astronomy Van with a 3D show, PBS’s Janet’s Planet show, a Science Magic Show with Dr. Osborne, and a live science show withDr. Bon & the Science Guys. There will be entertainment on the large inflatable movie screen as well as music. MES PTA is hosting our second car show featuring Cars, Jeeps, Motorcycles and more. We will have awesome vehicles, marketplace vendors, bounce house, food, music and much more. We are inviting everyone to come enjoy the day with us. Come bounce in our castle bounce house, win goodies at the cake walk, join in one of three costume contests with door prizes! That’s not all! Chili Contest, say, WHAT?! Yes, come, taste and vote on our your favorite pot of chili, made just for you by our members. If you need a break from the brisk air, you can warm yourself up with a cup of hot chocolate or apple cider. There will be movies, popcorn, cotton candy, games galore, which includes pumpkin bowling! If you are more of a crafty person, we have magnets, silly scarecrow faces, and Fall place-mats waiting for your creative minds. The fun doesn’t stop there, there is pumpkin painting and games for the littler ones! Each year the Peinhardt farm is open to the public for one Saturday in October. The farm is opened for everyone to come out and experience history in a setting that will take you back in history and allow you to actually participate in some “hands-on” work. Exhibits and demonstrations are spread over 40 acres. Events have included old-time woodworking, mules, horses and wagon rides, antique tractor shows, petting animals, sorghum syrup making, grist mill, blacksmith horseshoeing, and the sawmill. Free Family Fun! Hotdogs, drinks, popcorn, games, crafts, moon bounce, family photos, and Bingo! This is a free to the public, fun family event and market featuring numerous food, clothes, and art vendors! Come out and support Buckhorn Middle while shopping vendors, painting pumpkins, enjoying shaved ice, and so much more. Join your local Alabama Tinkergarten leaders as they celebrate this autumn season and the end of Daylight Savings with a Fall Lantern Walk. This is a free community family event that will include activities before a sunset stroll. 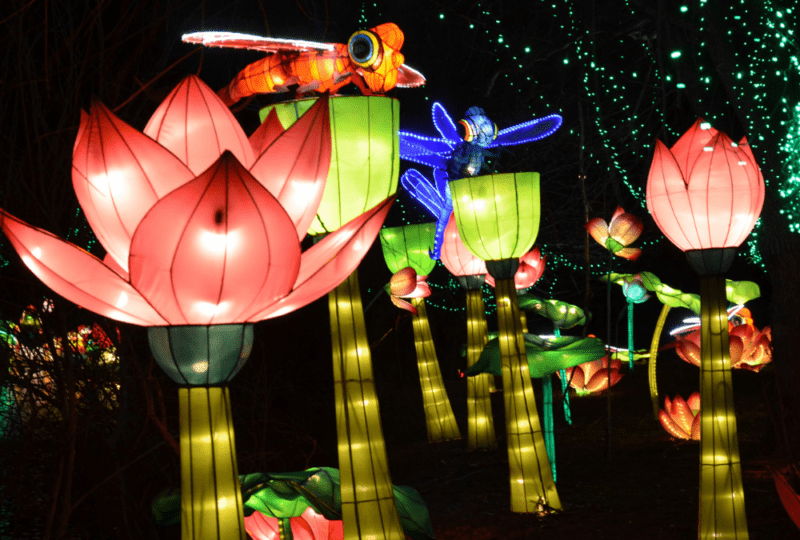 The walk is stroller and dog friendly and costumes and flashlights are encouraged! Tinkergarten leaders across the country will be hosting walks and we are so excited to host the first for North Alabama, we can’t wait to see you outside! Free and open to the public, come in costume for fun, food and games… and CANDY. There will be games and activities for all aged children! Hartselle Parks & Recreation along with the Historic Hartselle Downtown Merchants are happy to announce the Third Annual Hartselle Hay Day in Downtown Hartselle. This is a free community event featuring a costume contest, inflatables, hay rides, food trucks and of course, lots of candy! Nominated for 2017 Downtown Huntsville Event of the Year, Hunt+Gather is an annual juried & curated artisan & makers market, featuring artisans, makers, creators, & innovators from North Alabama & the Tennessee Valley. Wear your costume and come out for a night full of friends and fun. There will be different carnival games for the kids to play for candy and treats. Bring your Halloween characters and join the characters from our latest productions for a morning of autumn inspired crafts, dance and of course cupcakes. Our dancers will introduce the art of storytelling through ballet as we enjoy excerpts from the upcoming Nutcracker: A Yuletide Ballet. Space is limited, so register today! With three covered bridges still in existence, Easley, Horton Mill, and Swann Covered Bridges, Blount County carries the title of Covered Bridge Capital of Alabama. As a tribute to its roots, a one-day festival is held every year in Oneonta and offers free family fun including a guided river walk, a covered bridge tour, a pancake breakfast, a quilt show, an arts and crafts show with a kid’s zone, a car show, live music, great food and more. The highlight of the Covered Bridge Festival is the arts and crafts show located in downtown Oneonta’s entertainment district. Throughout the day, festivalgoers can peruse the booths of vendors selling an assortment of homemade items, handmade jewelry, artwork, wood creations and more. For the early risers, the Blount County Children’s Center will host its annual pancake breakfast from 7 to 10 a.m. at Lester Memorial United Methodist Church, located at 108 Third Avenue East. This year, the Covered Bridge Festival will continue on into the evening as SwampTails Restaurant transforms a block into a spooky spectacular costume party with live music, food and more. Festivalgoers are encouraged to come dressed in their favorite costume and enjoy an early start on the Halloween holiday. Our Village’s FIRST community event! Y’all come join the fun! Hayrides, face painting, gorgeous luxury homes to tour, free family portrait sessions, pumpkin patch, pumpkin painting contest, and MORE! Get an early start on prepping for the holidays with over 70 area crafters, makers, artists, and small businesses at the 5th annual Taste of the Holidays Market! This year’s booth fees will directly support the ministry of 305 8th Street. Come taste free samples of sweet & savory recipes while you shop, get free gift wrapping, and enter to win a free holiday dinner for 8. Last year, this event featured over 1800 shoppers! Join us on Sunday, October 28th from 3-5 PM for Mayfair’s AutumnFest 2018! Come for our Giant Trunk-or-Treat + food trucks, inflatables, rock wall, hayride, free snow cones & more! Rain or shine, join Calvary Baptist in Scottsboro for games, food, inflatables, hayride, and s’mores. Fall Festival – Trunk or Treat at Hillwood is a free event open to children and their families. Church members will greet and assist visitors with love and friendliness as they explore fun events such as horse rides, mini-train ride, games, and inflatables. We will also have hot dogs, and drinks as well as car trunks and pickup trucks full of candy! Come and have some fun with us! Join Risen Life Church Without Walls for our Fall Festival on Wednesday, October 31 in front of The Legacy Center on Jordan Lane! Burritt’s Folklife Festival will showcase craftspeople, artists and presenters who will share their knowledge about the traditions, skills, handicrafts and arts of our region during the 1800s and early 1900s. Come hear traditional music and watch demonstrators as they show you how our ancestors worked, lived and created art. Skills that will be demonstrated include blacksmithing, flint knapping, Native American flute making and playing, spinning, quilting, open hearth cooking and much, much more. These exciting days of family fun will be Saturday from 10:00-4:00 and Sunday 12:00-4:00. You won’t want to miss this wonderful experience! A Fall Festival that has something for everyone! Free to attend, but tickets are $20.00 for 25 tickets, which are good for pony rides, games, face painting, photo booth, etc. Food trucks will be on site and there will be bakery goods and arts and crafts items for sale. The evening will end with a bonfire to include hot chocolate and s’mores! Rocket City NerdCon (RCNC) 2018 is a celebration of all things nerdy. If your fanaticism for pop culture, comic books, movies, tv, books, games, collectibles, crafting, cosplay, LARPing, etc. borders on obsessively nerdy, this is the place for you! Come meet other people who geek out over similar subjects, and let your inner nerd flag fly. Tickets are good for the whole weekend, and you must have a ticket to enter panel rooms and workshops. The library will be open to the public during normal library hours (Saturday, 9:00am-5:00pm, and Sunday, 1:00-5:00pm), but only ticket holders will be allowed in the library on Saturday evening and Sunday morning.